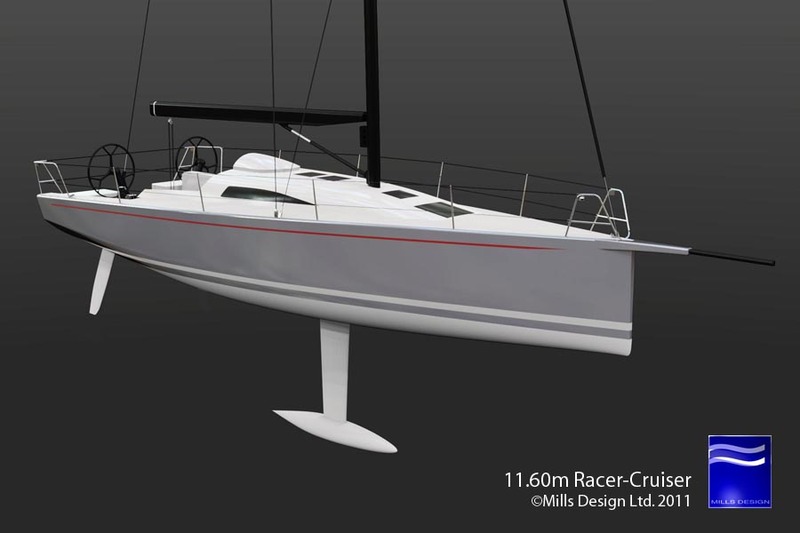 A chined high-performance Cruiser-Racer optimised for a couple. This chined high performance cruiser-racer combines a modern comfortable interior with the most visible and useful Open design type traits to create a very versatile, fast, and powerful shorthanded performer. Specifically an Open influenced wider lighter hull shape will have more beam both on deck and below offering a significant gain in usable space, and in conjunction with a gentle reverse sheer offers the higher freeboard necessary to gain the required headroom. 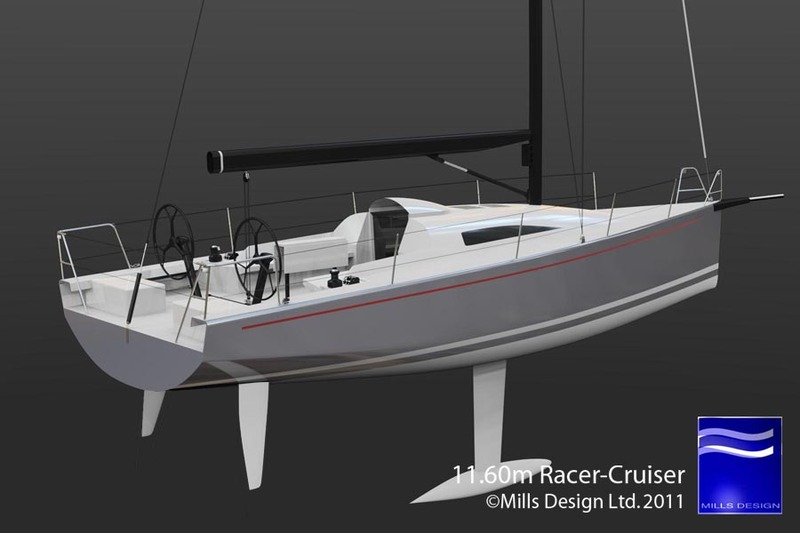 The resulting design would have high initial stability without crew on the rail making it a pleasure to shorthand and cruise, and offers exceptional reaching performance, important to the non-racing cruisers and offshore racers alike. Features such as underdeck sheets and halyards led to powered winches in front of the wheels, combined stub sprit and anchor roller, opening transom/deck locker, overhanging seating, make this an extremely interesting project for investigation in more detail.